As raccoons become more comfortable populating areas where humans reside, dog owners are faced with the risk of having their pets infected with the virus that causes canine distemper. Is your pet at risk and what can you do to prevent them from getting infected? Here is a look at what Canine Distemper is, the symptoms that accompany it, and what you can do to protect your dog. Canine Distemper is a virus that can affect t raccoons as well as dogs, foxes, wolves, and skunks. It belongs to a group of viruses known as the Morbillivirus class, and it is closely related to the measles virus that affects humans. No cure currently exists for this virus. This virus is spread through direct and indirect contact with an animal that has it. It can spread through the air as well as through contact with items carrying the virus, including bedding, food, and pet dishes. How Does the Virus Attack? When the virus enters the body, it generally targets the animal’s tonsils and lymph glands. After approximately one week of replication, the virus begins to attack other areas of the animal’s body, including the nervous, respiratory, gastrointestinal, and urogenital systems. The nervous system is often the last area of the body to become affected. What Are the Symptoms Associated with Canine Distemper? An animal infected with Canine Distemper initially develops a high fever, discharge from the eyes and nose, and irritated eyes that might appear to be red in colour. Lethargy, coughing, diarrhea, and vomiting occur next. As the disease progresses, the animal might show signs of paralysis, develop seizures, or appear to have episodes of hysteria, confusion, or blindness. Unfortunately, infected dogs often experience death in as few as three to five weeks. Even if they survive the disease, they usually suffer permanent damage to their neurological capabilities. The virus is usually present in low percentages of the raccoon population, so it is not a widespread problem. However, young puppies and older dogs that have not been immunized are highly susceptible and can catch Canine Distemper from infected animals with which they come into contact, including raccoons. Dogs with an existing gastrointestinal or respiratory infection of a bacterial nature are also highly susceptible to this disease if exposed to it. Dogs with a weakened immune system are also at higher risk of catching this virus as well as of dying from it. Humans cannot catch Canine Distemper. However, the risk of being attacked by an infected raccoon does exist, particularly if you approach it. 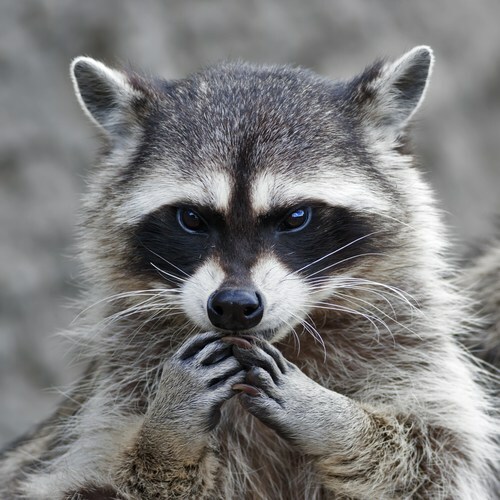 What Should You Do If You Suspect the Raccoon in Your Yard Has Canine Distemper? If you notice a raccoon acting oddly in your yard, your first step should be to get away from it. Call a local wildlife removal company and report the animal’s presence. How Can You Prevent Your Dog from Catching Canine Distemper from a Raccoon? Get your pet vaccinated against distemper. 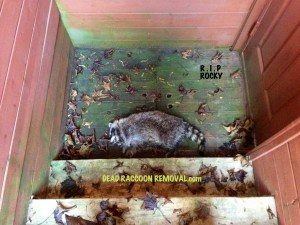 Raccoon-proof your home and yard. Keep your pet on a leash whenever you leave your yard. Canine Distemper is a virus found in certain animals, including foxes, wolves, skunks, raccoons, and dogs. The virus can be spread through direct or indirect contact and has no known cure. It affects the tonsils, lymph nodes, nasal passages, and eyes first, moving on to the respiratory, gastrointestinal, urogenital, and nervous systems. Death is often inevitable. Humans are not at risk of catching this disease, but a wildlife removal company should be contacted if you suspect that an animal found at your home is infected. The best way to prevent your dog from catching this disease is to bring him to a veterinarian for a vaccination against distemper. Making your home unattractive to raccoons is another viable option.